Swobbit has specially adapted the Moorfast mooring aid to fit onto their range of perfect poles givi.. 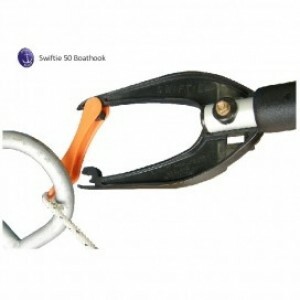 Floating telescopic boat hook 120-123cm. Manufactured in silver anodized aluminium pipe. Supplied wi..
120-210 cms Telescopic Boat Hook.Manufactured in silver anodized aluminium pipe. Supplied with plast.. Fixed Boat Hook - 2.1m. Manufactured in silver anodized aluminium pipe. Supplied with plastic hook. ..
Telescopic Boat Hook with Washing Kit. 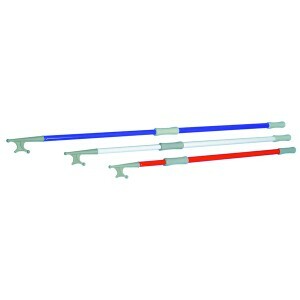 Telescopic anodised aluminium pole with attachable nylon boat..